Looking for an easy way to get fit? It’s the perfect time of year to start a walking routine. Walking is one of the easiest and cheapest forms of exercise that can provide some great benefits. There is no need to invest in any special equipment or membership to enjoy the outdoors. Walking is a low impact exercise and an awesome way to get some fresh air! Make sure you walk for at least 30 minutes or longer each day. To increase your benefits try walking at a faster pace or in a more challenging setting. Healthy for your mind: Walking can provide a form of meditation that can help with anything from pain to relaxation. Walking releases natural pain­killing end­or­phins to the body that can help to relive pain and depression. There are also some studies that suggest walking may slow mental decline as well as improve your sleep. Healthy for your body: Making the time to walk is also good for you heart. It’s a gentle exercise that most people can participate in, even if they are not in the best health. It can help to prevent heart disease, lower your risk of diabetes, improve circulation, and trim your waistline. It also can increase your balance and coordination and strengthen your bones. Healthy for your wallet: Your choices are endless when it comes to choosing where to walk. Take advantage of local nature trails, hiking paths and even the streets around your home. Make sure it is somewhere you will enjoy and relax. Try and keep the majority of your walking outside though where you can benefit from the fresh air and sunshine. Healthy for your family and friends: Taking someone with you can provide companionship as well as keep you motivated. 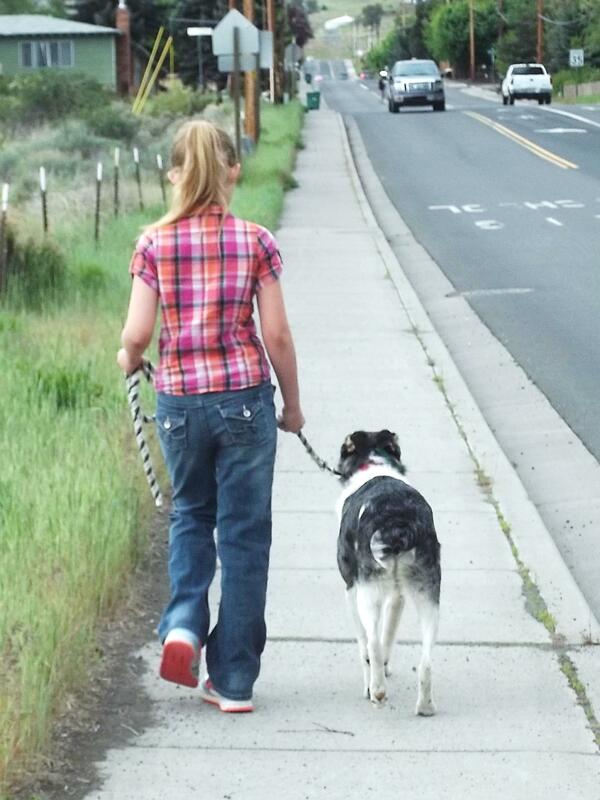 Take your dog; they need the exercise and mental stimulation as much as you do! Set blocked out time for yourself every day. Choose walking as your one thing to not be flexible in your schedule. Healthy for your spirit: Walking should be peaceful for you to participate in. You are doing something to improve your health and future. Focus on any negative feelings you’ve had that day and work through them. Let go of them and go to bed relaxed and happy. The reasons to walk are endless and so are the benefits. Do you have a favorite place or reason to walk? Please share it with us!